Conditions involving the respiratory system bring many and varied patient situations to the hospital and physician practice. 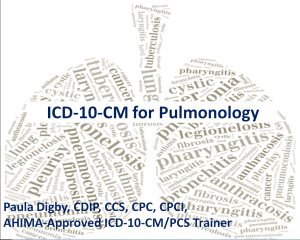 This session will address the documentation and coding of diagnoses related to Pulmonology and utilizing the ICD-10-CM code set. Although some guidelines for reporting these conditions remain the same, some new rules will have to be considered. Learning to detail these elements in current documentation of these conditions will enable a much smoother transition to ICD-10 at the proper time. 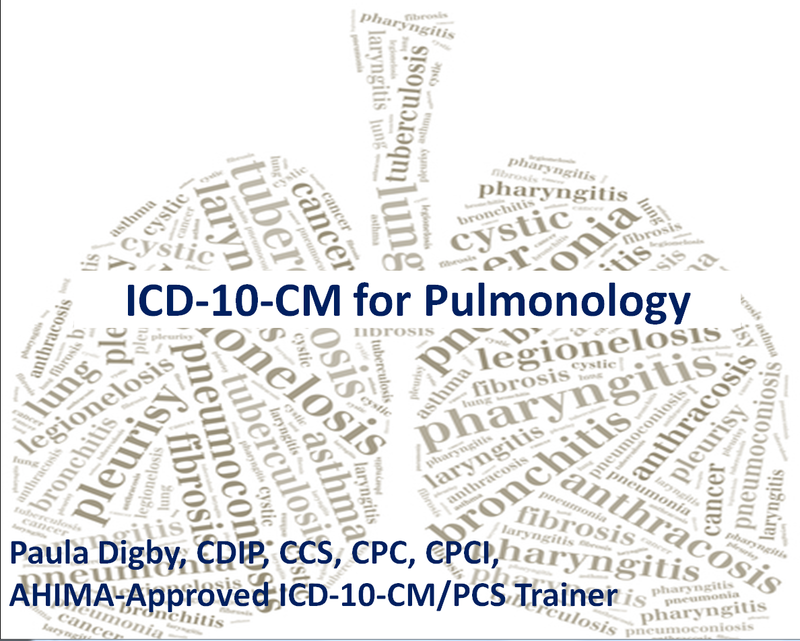 This topic is presented by Paula Digby and includes a short lecture on The Respiratory System and another on Acute Respiratory Failure by Dr. Gregory J Digby.